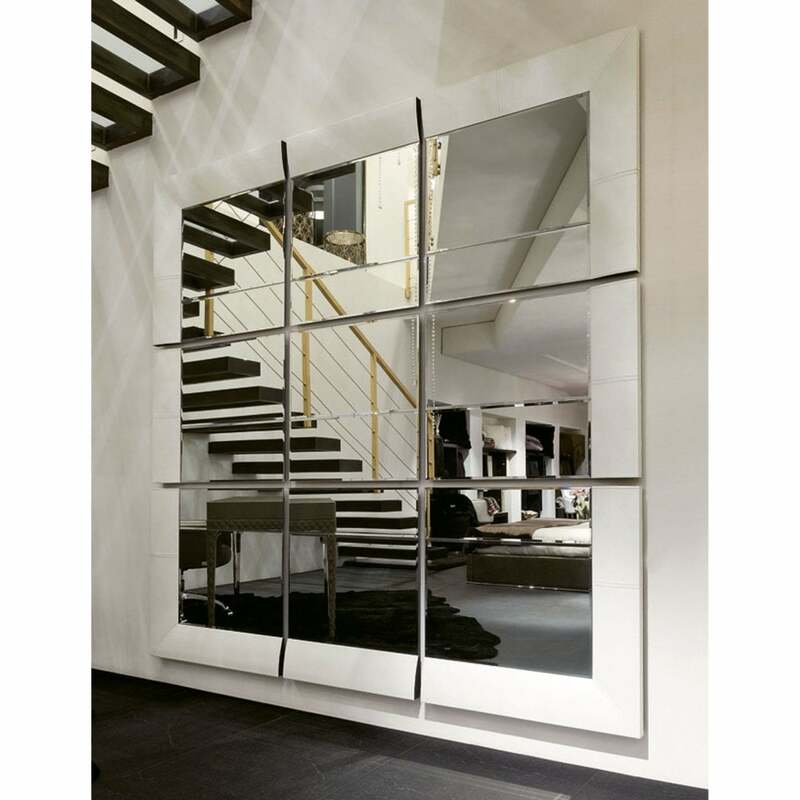 Nine mirrored square panels create the beautiful design of the Bucarest Puzzle Mirror by Rugiano Interiors. Hand-crafted by skilled artisans in the heart of Italy’s fashion capital, this large, statement mirror will add glamour to any living space. Position centre stage in a foyer and entrance space or behind a luxurious sofa in a living room. The Bucarest Puzzle Mirror will add another dimension to your interior scheme. The supporting frame is upholstered in the finest Pelle leather with precise stitching on every panel. Choose from a smooth or textured finish in a variety of hues to complement you furnishings and fittings. Make an enquiry for more information.